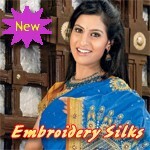 Send gifts to Ahmedabad, Bangalore, Chennai, Coimbatore, Calcutta, Delhi, Hyderabad, Mangalore, Mumbai, Pune, Vellore. Send across your love and care through these Cakes available in variety of flavours like Black Forest, Pineapple, etc. Please go through the Product Newsfor available delivery locations.